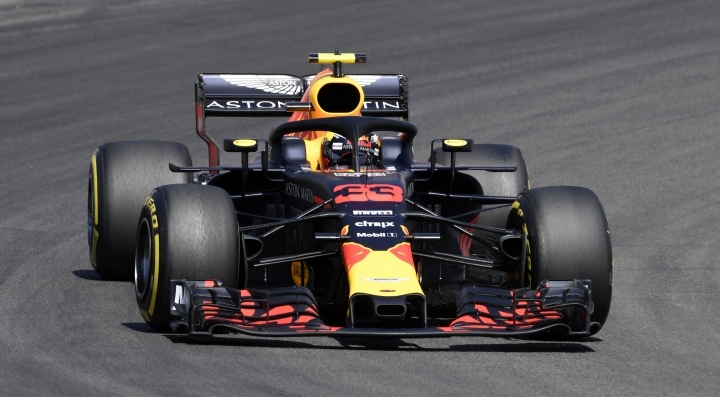 HOCKENHEIM, Germany — Max Verstappen set a new lap record in leading the second practice session for the German Grand Prix on Friday. The 20-year-old Dutch driver clocked 1 minute, 13.085 seconds to eclipse veteran Kimi Raikkonen's time of 1:13.78 from 2004. Verstappen also made it a Red Bull 1-2, after his teammate Daniel Ricciardo was best in the first practice before drifting back in the afternoon. Lewis Hamilton was second quickest in both sessions. 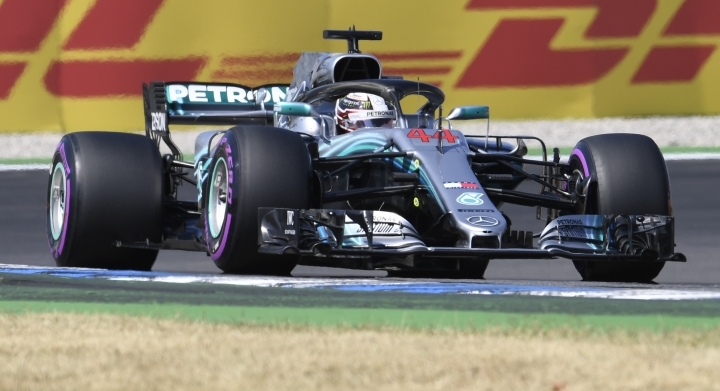 His Mercedes teammate Valtteri Bottas finished third in the second practice, with championship leader Sebastian Vettel's Ferrari in fourth. After a rocky start to the season, Verstappen has hit a rich vein of form and has secured four podium finishes in the past six races. However, he may have cause for worry ahead of Saturday's third practice and qualifying. "What's going on with the engine?" he said concernedly, before returning to the garage near the end of P2. "I'm hearing a lot of noise." 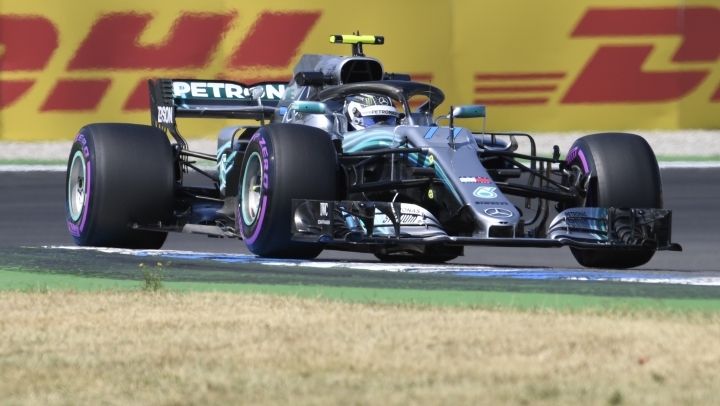 Both sessions were bathed in hot sunshine at the Hockenheimring track, located in southwest Germany's Baden-Wuerttemberg region bordering France. The circuit has several fast straights on the 4.6-kilometer (2.85-mile) track, meaning fans can hope for an exciting race. Ricciardo, however, is unlikely to be on the podium, let alone win. He starts from last on Sunday because of a grid penalty. 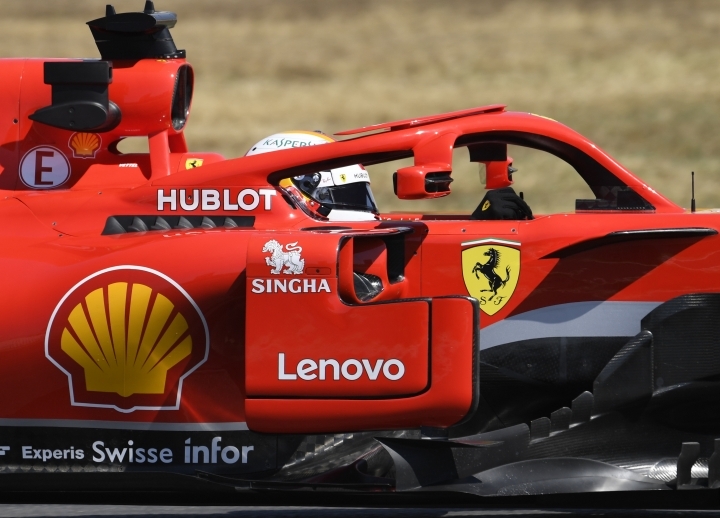 He incurred it because his team made changes to the hybrid system, the energy store and the electronics unit for a combined total of 20 grid positions. Drivers are allowed to use two of each specific engine part during the season before penalties, but this is the third time Ricciardo is using each individual element. His team felt it necessary to make changes here, rather than incur penalties for doing so at the race in Hungary next weekend. Red Bull is expected to compete strongly at the Hungaroring, which is one of F1's toughest tracks to overtake on. "We don't want to take this penalty in Budapest, for sure," Red Bull technical director Pierre Wache said. "It's part of the tactical aspect." Earlier, Verstappen was third in P1 ahead of Vettel, Bottas and Raikkonen. In another encouraging performance, Charles Leclerc placed ninth and eighth in his two runs with a considerably slower Sauber car. Leclerc has greatly impressed in his debut season. The 20-year-old from Monaco has taken points in five of 10 races, exceeding expectations, with a best finish of sixth at the Azerbaijan GP. He has driven with such maturity and composure, that he is already being touted to replace the 38-year-old Raikkonen at Ferrari next year.